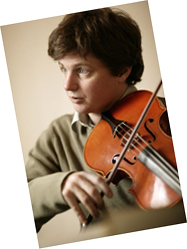 James Boyd (viola) is widely recognised as one of Britain's finest chamber musicians. He has been a member of some of the country's foremost ensembles and is in demand as a guest artist with many others. He was a member of the Raphael Ensemble for five years and a founder member of the Vellinger String Quartet. In 2001 he formed the London Haydn Quartet which has been acclaimed for its highly individual stylistic approach, making a particular speciality of the works of Haydn. James has appeared as a regular guest with many ensembles including the Endellion, Wihan and Szymanowski Quartets, the Barbican and Florestan Piano Trios, and mixed ensembles such as the Nash Ensemble, Capricorn and the London Sinfonietta. Gramophone Magazine described his latest CD of the viola music of York Bowen, with the pianist Bengt Forsberg, as a gem of a disc. He teaches viola and chamber music at the Guildhall School of Music and has co-founded MusicWorks, a chamber music course for young string players. 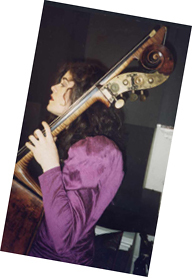 Mary Scully is one of the country's leading double-bass players. Born in Omagh, Northern Ireland, she studied in London at the Guildhall School of Music and Drama with Thomas Martin before becoming a founder member of the Guildhall Stings with whom she made many recordings for BMG/RCA. Mary has played principal Double-bass with the Philharmonia and the Royal Philharmonic Orchestra and also with many chamber orchestras including the English Chamber Orchestra, the Scottish Chamber Orchestra, the London Mozart Players, the London Sinfonietta, the London Chamber Orchestra and the Britten Sinfonia. She performs regularly with this country's most acclaimed chamber ensembles including the Nash Ensemble, London Winds, the Haffner Wind Ensemble, the Composers' Ensemble, Endymion and Capricorn as well as with String Quartets such as the Chillingirian, the Lindsays, the Medici, the Brodsky, Vogler and Arditti. 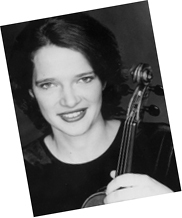 Mia Cooper (violin) studied at Chetham's School of Music, at the Royal Northern College of Music with Yossi Zivoni and later at the Paris Conservatoire. She was Principal first violin of the Royal Philharmonic Orchestra and now plays and records with many of London's orchestras and chamber ensembles. Mia has also appeared as guest leader with the BBC National Orchestra of Wales, the Royal Philharmonic Orchestra, the City of London Sinfonia, the English Sinfonia and the Goldberg ensemble. Mia is a member of the Ovid Ensemble who have played at music festivals across Britain and commissioned several new works. Mia recently performed Sibelius's rarely heard Suite for violin and orchestra at St.John's Smith Square with Sound Collective and Mozart's Sinfonia Concertante with the St. Endellion Festival Orchestra conducted by Richard Hickox. In December 2004 Mia was invited to perform at the Sangat International Chamber Music Festival in Bombay and will be performing as part of as new chamber group at venues along the coastal towns of Lithuania.